Students Lead a Worldwide Climate Strike. Will Adults Listen? Report: Attorney General Barr Gave Mueller Permission to Indict Trumps Three Adult Children and..
A report at The Specator on Friday claims dirty cop Robert Mueller met with Attorney General Bob Barr and the two agreed that President Trumps children should be indicted. The report goes on to say that Special Counsel Robert Mueller and his 13 angry Democrats also want President Trump to be indicted but that Barr pushed back on this. That Ginsburg will retire in January. Retired Army Gen. Stanley McChrystal: President Donald Trump immoral, doesn't tell the truth. The former top commander of U.S. and international forces in Afghanistan, retired four-star Army Gen. Stanley McChrystal, criticized President Donald Trump's behavior and handling of the presidency, saying the commander-in-chief is dishonest and immoral. I dont think he tells the truth, McChrystal said in an exclusive interview on This Week when asked by Co-Anchor Martha Raddatz if he believes the president is a liar. Is Trump immoral, in your view? Raddatz asked. I think he is, he said. White House press secretary Sarah Huckabee Sanders went after FBI Director James Comey after he delivered the second round of testimony on Capitol Hill Monday, in an evening tweet. Comeys testimony marks the second time in recent weeks he has appeared before joint House committees to investigate his decision-making process and knowledge of investigations ranging from former Secretary of State Hillary Clintons use of a private email server to the Trump 2016 campaign. 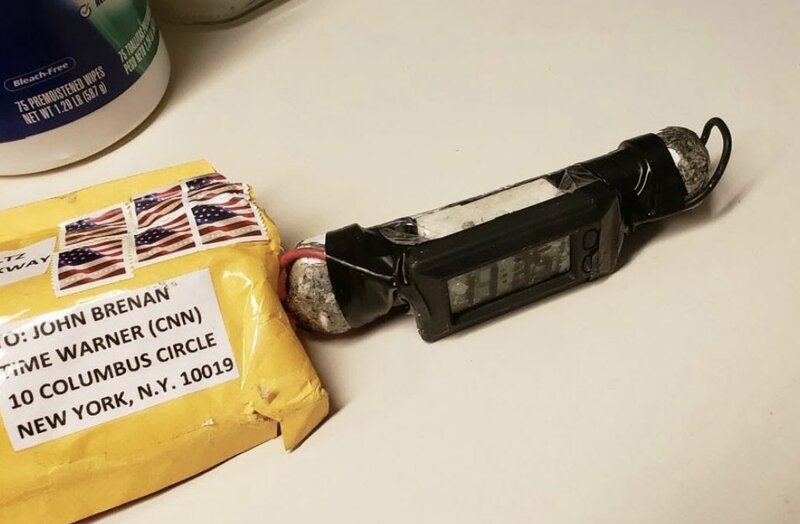 Wile E. Democrat sent those 'bombs'!